The Commission on Chicago Landmarks is expected to decide Thursday whether to recommend landmark status for the former site of Prentice Women's Hospital. The designation would make it harder for Northwestern to demolish the old building to make way for a new research facility. Chicago Mayor Rahm Emanuel on Tuesday endorsed Northwestern’s plan to demolish the old Prentice Women’s Hospital and build a new biomedical research facility, lending one of the most authoritative voices to decades-long discord over the construction project. Emanuel’s endorsement gives more clout to the University’s chances of persuading the Commission on Chicago Landmarks to reject preservationists’ arguments at its Thursday hearing. If the nine-member panel recommends landmarking Prentice, and the Chicago City Council affirms the evaluation, NU would not be allowed to demolish the building despite owning the land. The University wouldn’t lose only its proposed research facility — NU has already spent hundreds of thousands of dollars researching its options for the site and financing a public relations campaign. The University and the Save Prentice Coalition, a leading opponent of NU’s plan, will make their respective cases Thursday before the commissioners. After a public comment session, the panel will decide whether to recommend landmark status to the Chicago City Council. Emanuel said NU’s plan could help “build a brighter future for our city and its residents,” but stipulated that the University should include a local architect in the design process and follow minority hiring requirements. 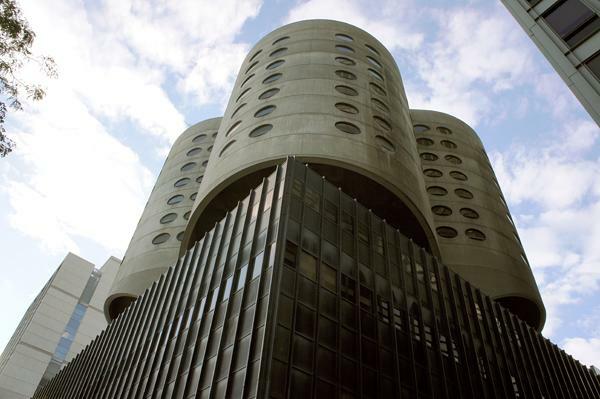 The Save Prentice Coalition, a network of preservationists against demolishing the hospital, issued a statement Tuesday rebuking Emanuel’s support. By building the new facility, NU hopes to expand its biomedical capabilities and become a top-ranked medical research institution. Plans for investing deeper in research have been in the making for more than 15 years. When Henry Bienen became University president, NU began to focus on expanding the medical school’s scope from basic clinical care to research by inviting more physician-researcher faculty and applying for federal grants from the National Institute of Health. The University has conducted studies showing Prentice is outdated and incapable of housing modern research labs and has stated that it is not interested in repurposing the building. A building must cover two of seven specific criteria to qualify for a preliminary landmark status recommendation. Top anti-demolition advocates said they feel confident Prentice meets at least four of these requirements in addition to an eighth “integrity criteria,” which mandates that a building not change over time beyond recognition of its essential value. After making a preliminary recommendation, the commission will receive a report from the Department of Housing and Economic Development. Then the commission will request owner consent — which NU is highly unlikely to grant — and a public hearing will follow. The final commission recommendation will take into account factors beyond the original criteria, such as economic development and neighborhood impact. Finally, the commission will vote whether to recommend landmark designation. The University’s proposal would attract $150 million in research grants, create more than 2,000 full time jobs and call for more than 2,500 temporary construction workers, Sunshine said. The Save Prentice Coalition has garnered some support from international architects, including Joe Antunovich and Gustavo Araoz, who together wrote a letter to Emanuel in July encouraging him to support the coalition. Still, opinion is divided in the architectural community: NU counts several Chicago architects among its supporters. The word on the street is also far from unanimous. Although some Chicago residents admire Prentice architect Bertrand Goldberg and his work, others question the building’s aesthetic appeal. At the time it was built, Prentice was considered to be on the cutting edge of hospital design, combining maternity obstetrics facilities with gynecology departments. The building has a central core that was meant to unify staff and patients. However, many architects consider Prentice to be of lesser significance than other works by Goldberg, such as Marina City or River City. Chicago architect James Goettsch said the landmark designation should be reserved for only the best buildings of any historic period, by any important architect. A Streeterville resident, Goettsch passes by Prentice as he travels to and from work everyday. NU and preservationist groups disagree over whether the old hospital is the only lot where the University can build its new research facility. “We think there are a lot of other options. We just wish Northwestern would explore them,” Morris said, referring to Landmarks Illinois’ reuse study of Prentice, in which it provided floor plans for how the building may be re-appropriated as administrative offices, lab space or housing. NU did not participate in the study and Sunshine said the University is only interested in building a biomedical research center. Morris said there are other vacant lots in Streeterville where NU could build the facility, including the empty site of the former Veteran Affairs hospital, owned by Northwestern Memorial HealthCare, across the street. She said based on the hospital’s affiliation with the University, and the institutions’ history of land collaboration, NU should be able to work out some sort of arrangement. Northwestern Memorial HealthCare has plans to expand patient care on the VA site, but no development is currently scheduled, spokeswoman Kris Lathan said in an email. Dean Harrison, president of Northwestern Memorial HealthCare, said in an email to The Daily that the two organizations, while close, remain independent. Harrison stressed the old Veteran Affairs site’s importance in allowing Northwestern Memorial HealthCare to connect its various medical buildings. Such connectivity is also important to the University’s plans to place the proposed facility on the Prentice site, where it can line up directly with other research buildings on the block. “If you want to recruit and retain the best, you have to have this kind of physical layout,” Sunshine said. Nearly three-quarters of Chicago residents surveyed in an NU-sponsored poll said they support the University’s plan for the Prentice building and 14 percent said they oppose it. As of Tuesday evening, the Save Prentice Coalition petition to stop the demolition had 3,624 signatures, and its public supporters include international architects and engineers. Among those high-profile signers: William Baker, lead structural engineer of Dubai’s Burj Khalifa, the tallest building in the world. In a letter to Emanuel, Baker urged the mayor to consider alternative proposals for using the old building, which Baker says was built using “revolutionary” architecture. The Prentice fiasco has brought together two communities often at odds: local businesses and labor unions. The Chicago Federation of Labor and the Chicagoland Chamber of Commerce penned a joint letter to the Chicago Tribune last month, touting the economic benefits of NU’s cause. This summer, NU launched a multi-faceted campaign to rally public support for its Prentice plan. The public relations blitz included advertisements in leading Chicago publications and outreach to alumni and affiliated organizations. NU officials declined to provide specific numbers on how much was spent on Prentice-related marketing. With Prentice officially on the Chicago Commission on Landmarks agenda, NU and the Save Prentice Coalition will have the chance to finally make their cases before the city. In a statement Tuesday, University spokesman Al Cubbage said NU officials were “very pleased” with Emanuel’s support and look forward to making the case for their proposed research facility. The Save Prentice Coalition anticipated in its release that Prentice will be the commission’s “most significant decision in years,” and called upon commissioners to provide Prentice with a fair public hearing.